Wade and Christopher met on stage acting in plays together. They chose to transition their onstage chemistry into play form. 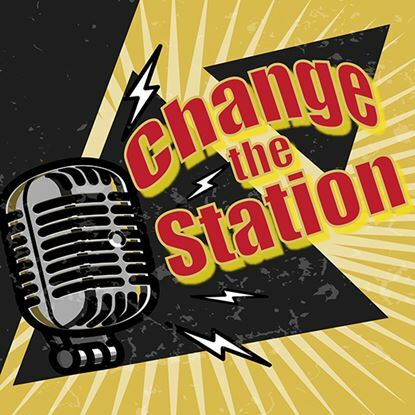 Wade and Christopher co-wrote "Change the Station," published by Eldridge Plays and Musicals. Wade, already an accomplished children’s book author from Washington, has several published plays, many of which he has directed himself. Christopher, a trained SAG actor originally from Chicagoland, has spent almost two decades in audio description with WGBH. 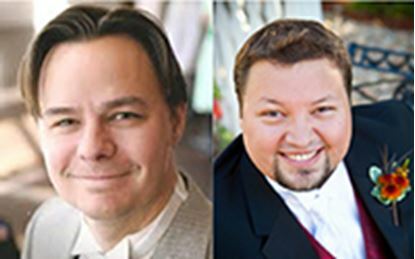 Currently, when they are not huddled over their next script, Wade teaches at the college level and Christopher works as a voice actor. They hope to produce at least half a dozen plays together and combine them into one hefty volume.